A gush of political hot air accompanied the announcement in late July that Foxconn, a Taiwan based electronics manufacturing giant, would locate a new plant with 13,000 workers near Kenosha, Wisconsin. President Trump blustered that this is another step toward “making America great again by bringing in ‘middle class’ jobs.” He went on to predict that Foxconn would ultimately bring 50,000 new jobs to the American homeland. Governor Scott Walker proclaimed that this was “a once in a century opportunity.” But he cautioned that the deal is contingent on his re-election, claiming that a previous deal with Foxconn in another state was quashed when its governor was defeated. Wisconsin’s Foxconn deal includes $200 million in taxpayers’ cash going to Foxconn each year for 15 years, adding up to $2.85 billion. In addition there is a sales tax exemption for the purchase of construction materials that is estimated to be worth another $150 million. The state has also agreed to waive the required environmental impact assessment as well as the need for permits to dump dredging waste in near-by wet lands. In return for all of this, Foxconn is to build its facilities on a 1000 acre piece of land near Lake Michigan and the border of Illinois, initially employing 3,000 workers. Eventually, once everything is up and running, they claim they will hire a total of 13,000. The dollar cost comes to about $17,300 per job if the goal of 13,000 is reached. If the total is only 3,000 the figure is $39,200 per job. To put the size of the subsidy into perspective, average national job incentives paid to corporations in the past year is only $2,457 per job. Furthermore, the Wisconsin State Legislative Budget offices estimates that even if Foxconn lives up to its promise of 13,000 jobs, it will take at least 25 years for additional state revenues generated by the deal to balance the massive financial incentives it is offering. Foxconn is the largest electronics manufacturer in the world. Most of their business is through contracts with firms like Apple, Nintendo, and Sony. They have twelve factories in nine Chinese cities that employ over a million workers and also operate factories in Brazil, EU, India, Japan, Malaysia, Mexico and the United States. They produce I-Phones and I-Pads for Apple, computer games for Nintendo and Flat Screen TVs for Sony among other things. The proposed Wisconsin facility will be manufacturing the flat screens. There are many reasons to question the wisdom of this deal. Some are specific to Foxconn. But the problems extend to the general strategy of states trying to buy jobs. But let’s start with Foxconn. Foxconn makes most of the I Phones in the world in a massive industrial complex in Longua, located in the Shenzhen area of Southeast China. In 2010, it was reported that 38 workers there began attempting suicide by jumping off of the high rise dorm buildings. 20 workers were talked down but another 18 actually jumped and 14 of these died. Their suicide notes and some of the survivors claimed the “immense stress, long workdays, public humiliation for mistakes by harsh managers, unfair fines and un-kept promises of benefits,” were simply unbearable. Investigative reporter Brian Merchant documented conditions in the Longua complex after he was able to sneak inside the compound and observe the brutal treatment of Gou’s “zoo animals.” An excerpt from Merchant’s book on what he found was recently printed in The Guardian. (Brian Merchant, “Life and death in Apple’s forbidden city,” The Guardian.com/technology/2017/18/June). Gou’s response to this was to put nets around the buildings to catch the falling “animals” (perhaps on the advice of the local zoo keeper?) Steve Jobs, then CEO of Apple wasn’t much better. He was reported to say that the rate of suicides at Foxconn was within the national average of China. One worker at the Longhua facility told Brian Merchant: “It wouldn’t be Foxconn without people dying. Every year people kill themselves. They take it as a normal thing.” Since the 2010 incident, workers have been forced to sign an agreement that they won’t kill themselves. According to Merchant, each month 24,000 workers, 5% of the workforce quit. In 2012, 150 workers threatened mass suicide after they gathered on the roof of a net free building. The company agreed to negotiate so the workers didn’t jump. The result of those negotiations is unknown. But Merchant’s observations suggest that the conditions causing the suicides and the suicide threats are unchanged. Beyond this grim report about working conditions in Foxconn’s I-Phone factory in China there is another cause to be concerned about the Wisconsin deal. The company has also made of habit of taking government incentives and opening and closing factories when they can find a better deal. This is what happened in Harrisburg, Pennsylvania in 2013. The company agreed to build a plant there and create 500 jobs in return for $30 million in incentives from the state. It never happened. Wisconsin’s Governor Scott Walker blamed it on the voters who failed to re-elect the governor. But according to an article on Foxconn found in Wikipedia, the opening and closing of factories has been a regular practice, particularly in India. The problem of uncertainty and volatility is compounded because the decisions on industry direction and priorities are not made by Foxconn. Rather, decisions that impact Foxconn’s bottom are made by the firms they contract with like Apple, Sony, Amazon and others. In addition, Bloomberg News reports that the electronics industry is ripe for an automation regime in which people can be replaced easily by robots. As a result, it is foolish to take promises to create a certain number of jobs in the future very seriously, certainly not seriously enough to shell out $3 billion in taxpayers money. And Foxconn’s record suggests that they don’t take their promises seriously. Moreover, the company’s labor and human rights abuses and the kinds of products they make means taxpayers in Wisconsin shouldn’t either. But there is an even deeper problem with the practice of extending corporate welfare to manufacturing firms to induce them to locate on a particular site. This problem isn’t specific to Foxconn or the electronics industry. But it is specific to capitalism at this stage. The Foxconn deal is, as the baseball great Yogi Berra once famously said, “a case of déjà vu all over again.” In the mid 1990s, the State of Illinois was all agog when in response to an offer of $35 million in incentives, Motorola Corporation and the Governor announced plans to build a major cell phone factory in the small worn out dairy community of Harvard, Illinois. It is located on the edge of the Chicago metropolitan area and just to the South of the Wisconsin border. At that time, Motorola was the number one producer of cell phones. The $35 million was used to build roads to service the 400 acre site and to install infrastructure on that site. A 1.5 million square foot plant was built and opened in 1997 employing 3,000 workers. Five years later it was closed, and the production of the cell phones was moved to Chihuahua, Mexico. The company claimed that increased competition had lowered the demand for their phones and they were forced to trim their U.S. workforce in order to cut costs. The plant was sold to a firm that planned to develop a water park on the site. That firm went bankrupt and the building sits empty to this day. A few months ago it was announced that the building was sold to an undisclosed Chinese company that makes smart phones. The Motorola/Harvard, Illinois story has been played out all over the U.S. for two decades now. During that time, local and state governments have fallen all over themselves to give away the moon and the stars to corporations in order to induce them to locate in their territory. The Federal Government has, at times, chipped in as well. The result has been more than 20 years of a massive corporate welfare program. The reason for this is important. A deep global capitalist crisis that started in the 1970s forced the entire capitalist system to change the way it accumulates and distributes the value labor creates. Beginning in the 1980s firms in industrialized nations, particularly those based in the U.S., began to take advantage of deliberate changes in transportation and production process technologies that had made capital highly mobile. Large-scale mass production was no longer necessary. It became possible to break the production of a product into pieces, producing one piece in one location and others pieces in other places. Finished products could ultimately be shipped in huge containers that could be moved from truck to ship to rail. Global institutional mechanisms like The World Trade Organization (WTO), The North American Free Trade Agreement (NAFTA), and conditions placed on World Bank and International Monetary Fund (IMF) loans opened up the world to corporations who could now establish a global production process. Many of these agreements declared certain environmental and labor rights rules an “unfair trade practice,” making governments liable to corporations for damages caused by lowered profits. The finance industry was also “liberalized” so money capital could easily move around the world, which made globalized capitalism even more mobile. The result has been devastating to the working class of industrialized nations and their communities. Since 1979 when U.S. manufacturing employment peaked, the U.S. has experienced a loss of over 7 million factory jobs. The Chicago Metropolitan Area suffered a net loss of 150,000 manufacturing jobs in the decade of the 1980s alone. 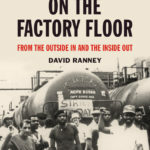 Most of the job loss in the Chicago Area was the work of corporate parents of local manufacturers who have operations in at least four countries (David Ranney, “Transnational Investment and Job Loss: The Case of Chicago,” University of Illinois Chicago Center for Urban Economic Development, 1992). That loss in Chicago accelerated during the 1990s and continues to this day. Throughout the U.S. mass production in major industries—electronics, automobiles, steel, chemicals, plastics, food processing, shoes and wearing apparel – to name a few, has been broken apart and moved around the world. More recently there has been a counter trend where firms based in other nations, particularly China, are beginning to locate in the U.S. But they are paying wages comparable to those prevailing in their home countries. Geographic labor markets in which workers are forced to sell their capacity to work used to be configured in large regions. The Chicago labor market was considered to be a region that stretched from Milwaukee, Wisconsin to Northeast Indiana. But now, in many industries the labor market is world-wide. U.S. workers are competing with their counterparts around the world including China. A recent article in Forbes points to stagnant wages in the U.S. and growing wages in China and attributes it to a growing labor supply since China was admitted to the World Trade Organization. (Ken Rapoza, “China like wages now part of U.S. Employment boom,” Forbes.com, 8-4-17). But what that article does not acknowledge is that workers in China have organized to demand higher wages and better working condition. Nor does the article recognize the ascendance of highly mobile firms with flexible production processes. In the pursuit of profits and high exploitation rates, global corporations have made the entire world their playground. Their ability to move all or parts of a production process enlarges the geographical labor market to encompass the entire world and drive down wages in the higher wage countries. The leveling of wages and the high mobility due to technological and institutional changes then allows a firm like Foxconn, based in Taiwan, to move production to the U.S. if its Chinese workers continue to jump off buildings demanding better wages and working conditions. Foxconn’s zoo is global. In fact, many of the firms that moved out of the U.S. in the 1990s have continued to move their operations around the world seeking higher rates of exploitation. Many firms that located in the Mexican industrial zones known as “maquiladoras” since NAFTA came into being in 1994, have since moved to China, Korea and Vietnam. They may come back to the U.S. in the future, but only if U.S. workers are willing to sell their labor at a lower price. It is hard to believe that the staffers in the U.S. Department of Commerce, the White House, and the Wisconsin Governor’s office don’t know these things. Yet the ongoing political con game of giving taxpayer money to corporations in return for “jobs” goes on. “Making America great again by bringing back middle class jobs” and all the huffing and puffing coming from Scott Walker’s office in Madison is nothing more than hot air, likely contributing more to global warming than to Wisconsin workers. 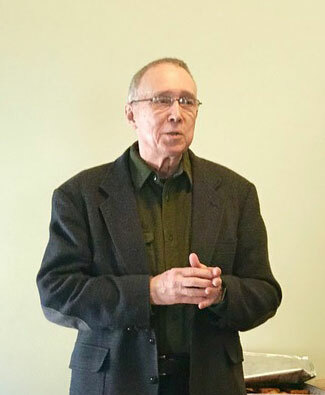 David Ranney is Professor Emeritus in the College of Urban Planning and Public Affairs at the University of Illinois Chicago, author, lecturer as well as actor and director in a small community theater. Is “Human Nature” a Barrier to a World Without War, Environmental Destruction and Inequality?